As some of you may or may not be aware, I have been suffering badly with Lyme Disease. I posted my Lyme Disease story on my personal Facebook wall the other day as it has been 2 years since I contracted the disease and I never knew it would have gone viral. The post has ended up in several newspapers, magazines and online news sites. I have been inundated with emails and messages from people who were going through similar illnesses and looking for some help, not ever hearing of Lyme Disease before. I know that this is not a weight loss or fitness related blog post but I wanted to help people be aware that Lyme Disease is around and that it is something to be vigil for, especially as we are coming into summer when more and more people will be doing activities outside. Please take a few moments to read this blog post and share it so others can be aware of the dangers that are around us. Early treatment is vital for overcoming the disease. 2012 had been a fantastic running year for me with new PB’s thick and fast in every distance I ran and topping it off by winning the Novice and Intermediate County Cross Country Championships. I felt like training was really starting to pay off and was absolutely delighted when this appeared to be continuing in the beginning of 2013 with a 4th place in the Kildare Marathon. Only a minute and a half off 3rd place I was determined to continue with the training and get straight back on to further reduce my time and hopefully get a top 3 spot next time! Following the marathon my body recovered quickly and I was back easy running after just a few days with lots of energy. Unfortunately for me – this energy was short lived, as 2 weeks after the marathon I was bitten by a tick whilst out running which unbeknown to me would completely turn my life upside down. I was bitten whilst out on my Sunday long run which I do out on the trails in Avondale forest, Co. Wicklow. I actually didn’t even notice the bite until Monday and continued about my daily business. Wednesday the 29th May I had just completed an easy 6 miler and my ankle was throbbing I noticed the bite had now spread from my ankle the bottom of my foot and visited the Dr. who confirmed it was infected and gave me an antibiotic cream and short course of antibiotics to take if it didn’t settle down after a few days. From there I thought absolutely nothing else of it! About 2 weeks later I was hit hard with fatigue and general feeling of unwell. When I was out running I noticed that my heart rate was quite irregular and higher than normal. I presumed I had some sort of virus so just rested up for a few days and thought it would even itself out, but the tiredness continued. 4 weeks following the bite I had to pull out of a team race because my body just wasn’t going. I returned to the Dr. for bloods but they came back normal. By the end of July the detailed Garmin notes were all starting to look the same “bad run”, “no energy”, “high heart rate”, “slow pace”. My average pace had dropped by over a minute and a half per mile and my Garmin notes from my long run, which had to be cut short, explained it all, “right from the start my body wouldn’t go and my heart rate was high as if I was in a race. My whole body just felt numb and like my legs didn’t belong to me”. I returned to the Dr. but with my symptoms indicating a virus it seemed there was nothing I could do. By the time August came I was so overwhelmed with tiredness I was taking a 1 – 2 hour nap during many of my afternoons. My heart rate was still high when I ran, so I slowed my pace down even further. Despite the slow in pace my breathing would become difficult and laboured on exertion. I attempted a 10k race at the end of August – it was a very flat course, yet every single bump in the road felt like a mountain and my breathing was heavy and hard. My time was 4 minutes slower than my best and I felt like a wreck. I rested up for a few days ahead of a Half Marathon I had and thought I felt a little better. Going to the Half Marathon I felt good but the moment I started I could not get my pace up at all. 5 miles into the race and my breathing was so hard and I had pain in my ribs. Bad side stitch I thought – but it was so bad I had to stop to walk to catch my breath. I had never walked in a race before. My Half Marathon time that day was 12 minutes slower than my best, again on a relatively flat course that should’ve been no problem for me. The winning female time that day was 3 minutes slower than my usual time and I limped across the time 10 minutes later absolutely crushed. The day after the half marathon on the 2nd Sep I couldn’t breath. My resting heart rate which was usually 45 beats per minute had more than doubled and lifting my hand above my head it shot up above 120. I knew something wasn’t right and after seeing the Dr. I was sent straight to hospital and initially it was thought I might have had a punctured lung, this was ruled out and a blood clot was suspected. Once again this was ruled out. Test after test performed and over a week in hospital and the verdict was a respiratory reaction to a viral infection. I was released but deep down I knew that there was still something wrong. A few weeks on, my hands were trembling, I felt dizzy and nauseous most days and I started getting pains in my shoulders and neck and severe headaches. Each day they became gradually worse until they were constant and unbearable. I remember hitting myself on the side of the head just to try and bang out the pain! It felt like my head was going to explode with the pressure. My mother came over from the UK to visit and having not seen me in a few months she saw how bad I was and took me straight to the Dr. That day there was a French Locum on call and she took a note of all of my symptoms and suggested that all of my symptoms sounded like Lyme disease. She asked me when was the last time I felt “good” – and honestly, the last time I felt good was when I finished the Kildare Marathon mid-May everything after that really went down hill. She went back through my medical notes and saw I had been bitten at the end of May and joined the dots and started the process of testing for the disease. This was the first time I had ever heard of Lyme disease. To think that in the course of just 6 months a small bite I barely remembered has changed my life in such a dramatic way and in such a short space of time seems inconceivable. At the beginning of my treatment I seemed to respond very well and by Summer 2014 I felt I was better and even started training for another marathon, so grateful that I could run again but unfortunately that was short-lived. After just 2 ½ months of feeling good I knew something wasn’t quite right and when my heart rate and breathing deteriorated again I knew the bugs were back. Evidently the bacteria hadn’t ALL been killed off so they had slowly multiplied again in my system. By October 2014 I had fully relapsed and started back from the start in treatment. My consultant has since changed my medication to try and keep attacking the bacteria and I am slowly getting better (I hope). I am on 3 different anti-biotics including the one they use to treat TB. I am told recovery can be slow, and I am definitely impatient – but I hope that through my experience I may be able to help raise awareness for a group of diseases that can be easily misdiagnosed, often going for YEARS without detection and are completely crippling and sometimes even fatal. For many of us we often put tiredness, or lack of running performance down to a “virus” or a “bad day” but in reality it could be a sign of something more sinister lurking underneath the surface. Lyme disease, or ‘Borreliosis’, is a bacterial infection passed to humans through a tick bite. 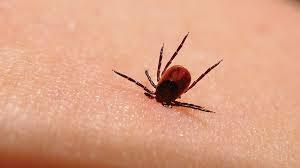 It is currently the fastest growing tick-borne disease. The bacteria is shaped like a corkscrew (called a spirochete) which enables it to burrow through body tissue which most other bacteria wouldn’t be able to penetrate. Infection starts with a tick bite and symptoms usually follow a few days or weeks after a bite. The first signs are an erythema migrans (EM), or “bulls eye” rash that generally radiates outwards from the source of the bite. Presence of a rash is a strong indicator of infection with Lyme disease although it might not be present in up to 50% of patients. Chronic flu like symptoms and fatigue are usually experienced soon after an infection. Occasionally, the patient may carry Lyme disease but have no outwardly obvious symptoms. Ill health may crop up years later following an illness or period of stress. This leads to a late Lyme disease diagnosis, where symptoms are similar to Multiple Sclerosis, Chronic Fatigue Syndrome or Parkinson’s disease. Lyme disease can lead to joint pain, weakness, muscle aches, pelvic pain, visual problems, tremors, headaches and heart problems, and can even result in paralysis and loss of sight. Symptoms become more varied and debilitating the longer an infection is left untreated. Treatment is by a course of antibiotics and if caught and treated within a few weeks it is normally successful. However infections lasting more than a few weeks become increasingly difficult to treat needing long courses of antibiotics and in some cases intravenous antibiotics may have to be used. 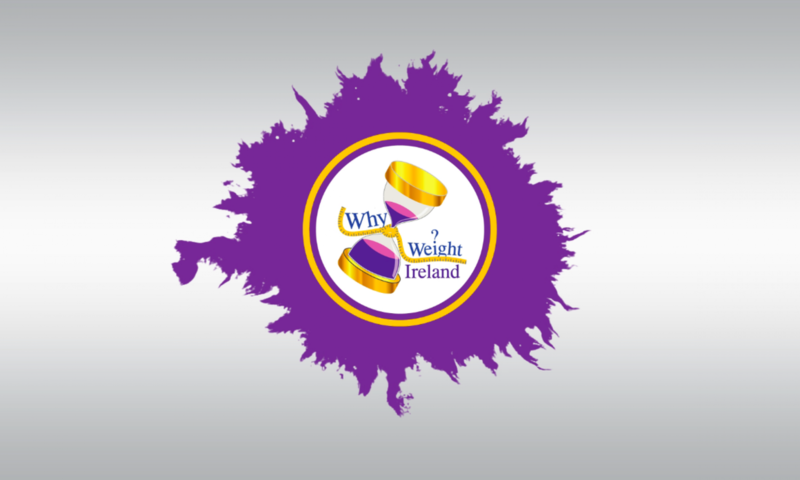 The “high risk” areas in Ireland are Wicklow, Kerry and Cork – although many cases have been reported Country Wide. It is worth remembering that there are bacterial infections other than Lyme disease too – I have tested positive for Spotted Fever Rickettsia which is just one of many infections that can be transmitted along with Lyme. If you are running and walking on trails or in forests – or pretty much anywhere that is green and contains wildlife (more prevalent in areas where Deer and Sheep reside) you are at an increased risk of exposure to contracting a tick borne disease. 3) Stay to the centre of the trail paths away from any leaves or vegetation. 4) If you do find a tick, carefully remove it, using tweezers to ensure the head and entire body is removed. 5) Be alert for any symptoms that may appear following a bite and seek medical advice with any symptoms or rash. Again, thank you for reading and please do share this so people can be made aware.